For boats that fit the dimensions of a standard container, depending on the destination port, container shipping may be a more cost effective shipping option. 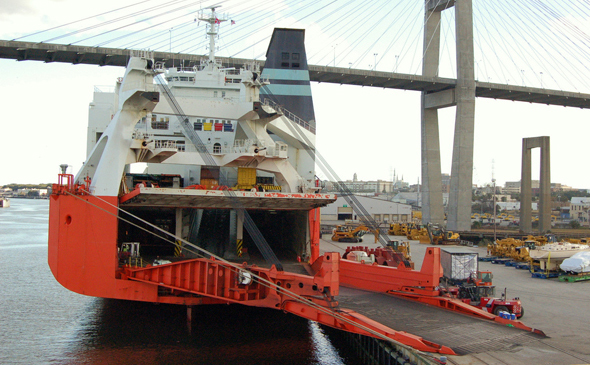 Straight Pack – For boats with a beam of less than 2.3m (or 7’8”) and less than a height of 2.69m (or 8’10”) can be easily loading using this method. Trailer axles can be broken down and secured in the containers as well, if they are too wide. Stack Pack – For boats with a beam of less than 2.3m (or 7’8”) and a height less than 1.37m (or 4’5”) we can use this method to load as many as 4 boats in a container. Windshields and trailers can be dismantled to accommodate this type of pack. Tilt Pack – For boats with a beam larger than 2.3m (or 7’8”) and less than 2.59m (or 8’6”) then we can use this method to carefully load and secure in a 40 HC container. We only recommend this method if you have an experienced unpacker at destination that is familiar with these type of packs to avoid any damage during unloading. Windshields and trailers can be dismantled to accommodate this type of pack.